Today we repost an episode from the archive when Dr. Russell Moore joined us to talk about a past article on Millennials, and if the characterizations of them being selfish and entitled are correct. Dr. Moore is President of the Ethics and Religious Liberty Commission (ERLC) with the Southern Baptist Convention. The ERLC is the moral and public policy agency of the nation’s largest Protestant denomination. Characterizations: Millennial bashing vs. Millennial idealizing (00:00-04:30). Are Millennials Selfish and Entitled? 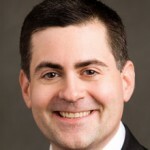 Dr. Russell Moore serves as the eighth president of the Ethics & Religious Liberty Commission of the Southern Baptist Convention, the moral and public policy agency of the nation’s largest Protestant denomination.